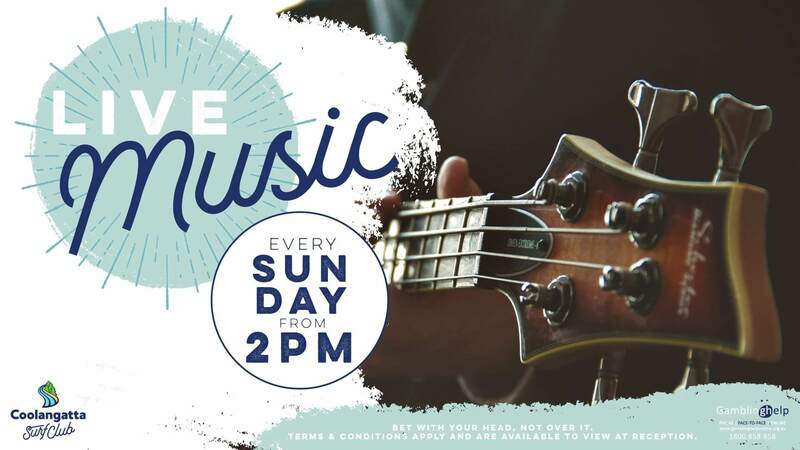 Live music from local artists every Sunday afternoon from 2pm! Sunday afternoons are made for relaxing on the beachfront balcony. Chill out after lunch and enjoy easy listening live music from 2pm until 6pm. Bring some friends and make an afternoon of it.